By Stephen Pate – How long will it take for Microsoft to fix the Windows 8.1 Charms Bar? The Share feature does not work reliably since Windows 8.0 Consumer Preview and Microsoft knows it. That, of course, is one of those arrogant lies that Microsoft tries to use when things go wrong. 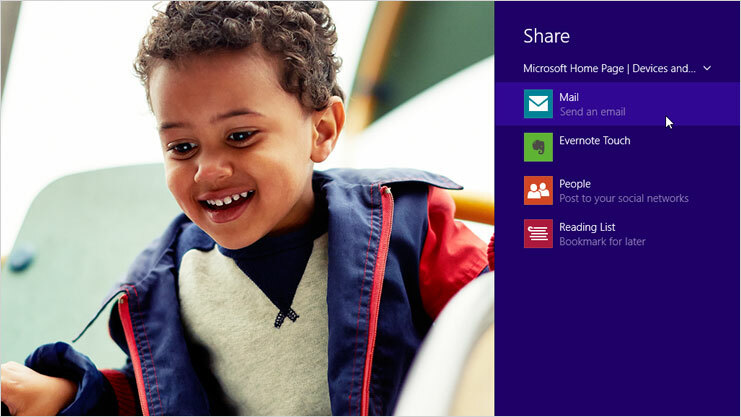 On the Microsoft Windows site it describes Charms Share as a fully functional way to share things on social media. The Share charm is a quick way to share files, photos, and info with people you know, or save things for later, without leaving the app you’re in. You can share a photo with just a few people at a time, share a link with your entire social network, or send an interesting article to the Reading List app so you can read it later. Charms Share works reliably for Facebook but creates 3 errors with Twitter, like a balky child when you ask them to pick up their coat off the floor. As the featured image shows, trying Share to Twitter produces an error “Something went wrong”. The joke is on users in this obvious and one of my favorite error messages. The link is captured with no image or text. A complete screen shot is captured. Charms Share is linked to the People app, itself a half-finished piece of code. You set up the social media accounts in People first and the link comes from there. 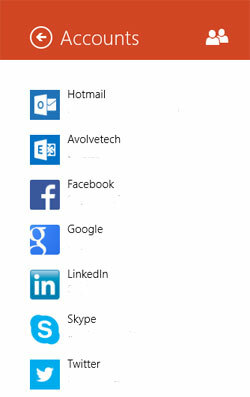 Despite registering apps for Share, Windows 8.1 does not Share to Google, LinkedIn or Skype. None of this makes any sense but that’s what annoys people about Windows 8.1. There are lots of features that don’t work well. On the Windows Community support portal, there are plenty of frustrated users like My share charm has stopped working in Windows 8 and Share Charm and the People App. Microsoft has no answers yet. Charms Share does not work with Desktop browsers or apps like Google Chrome or Internet Explorer 11 desktop. Even the new Modern UI Chrome is not supported by Charms Share. Generally, websites have their own share buttons which work, more or less. Every once in a while Charms Share works as intended and I get complacent thinking it’s fixed but then the old bugs come back. Ironically or not, Windows Phone 8 has no problems with the Share feature. Just one of the annoying bugs in Windows 8.1. Follow me on Twitter at @sdpate or on Facebook at NJN Network, OyeTimes and IMA News Buzz.